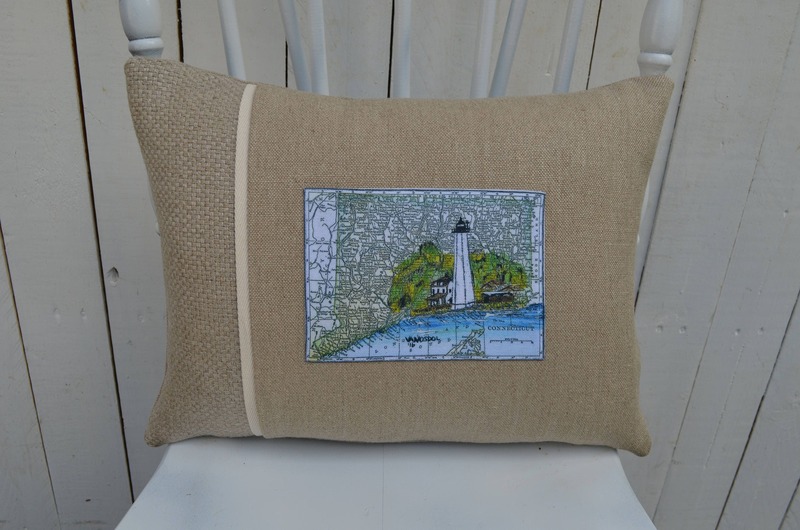 A Connecticut lighthouse postcard pillow. 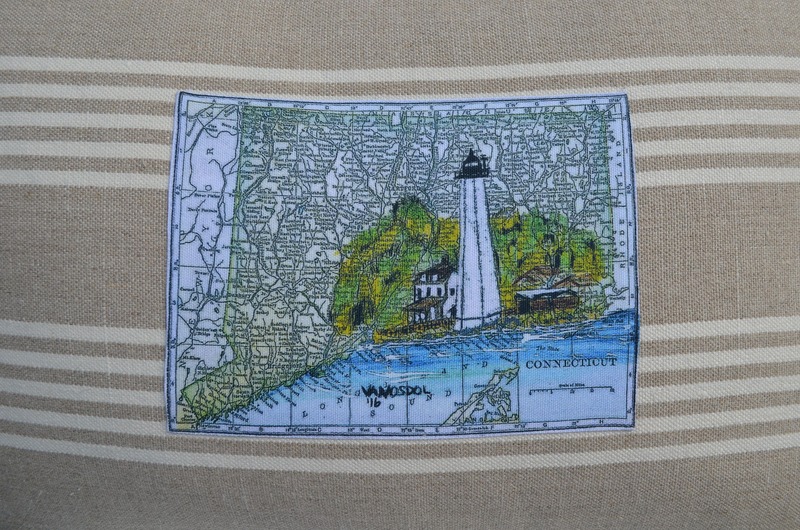 The image on this pillow is very special to us. The beautiful lighthouse artwork was done by a fellow Etsy show owner, Scott D Van Osdol, of My Salvaged Past. 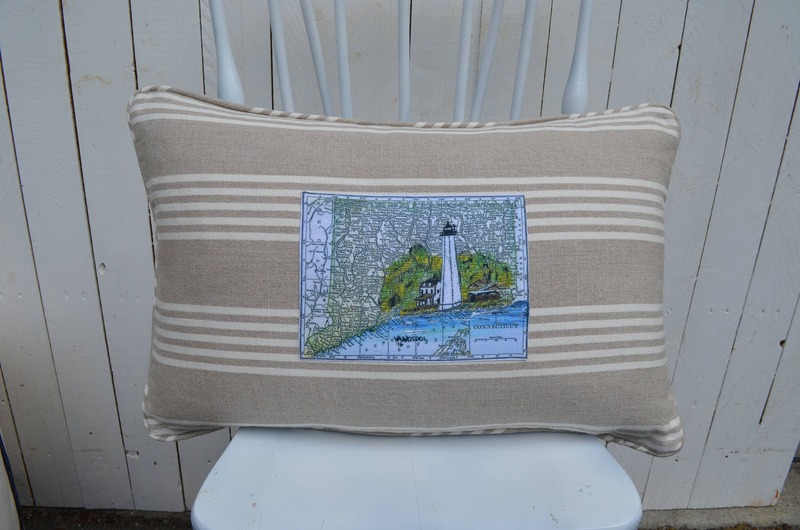 In addition to being a very talented artist Scott gave me permission to use his artwork on my Connecticut pillows. I had been looking for something very special to represent my home state and found Scott's wonderful artwork. It means the world to me that he is letting me use the image. If you get a moment please check out his shop! Photo 1 shows the Connecticut postcard pillow in the small 2 tone option. Photo 2 shows the pillow in the stripe option. Photo 3 shows the pillow in the pleated option. Photo 4 shows the detailing of the artwork. The main body of the pillow is made from Belgian linen. 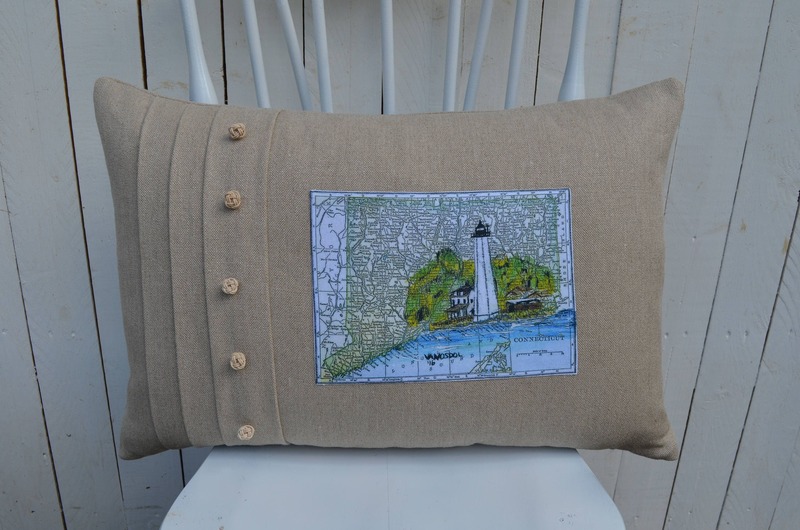 All pleated style pillows feature hand tied rope buttons made by a retired merchant marine sailor. All pillows include a 95% feather 5% down pillow insert. The large rectangular pillows measure 16 inches high by 24 inches long and the small rectangular pillows measure 12 inches high by 16 inches long. Each pillow is handmade to order so please allow 1-2 weeks for delivery.